Blue Nile has Up to 30% Off Select Jewelry. Shipping is free. Blue Nile has select regular-priced jewelry for up to 40% off with promo code "VDAY19". Shipping is free. Deal ends 2/13. 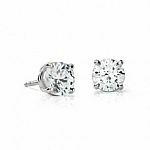 Blue Nile has an Extra 10% off ASTOR Diamond Stud Earrings Round and Princess. Shipping is free. 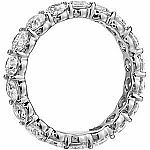 Blue Nile has $50 Off $100,$150 Off $500, $300 Off $1500+. Shipping is free. Blue Nile has 50% Off Select Diamond Jewelry Deals. Shipping is free. Blue Nile has 50% OFF Select Diamond Jewelry . Shipping is free.